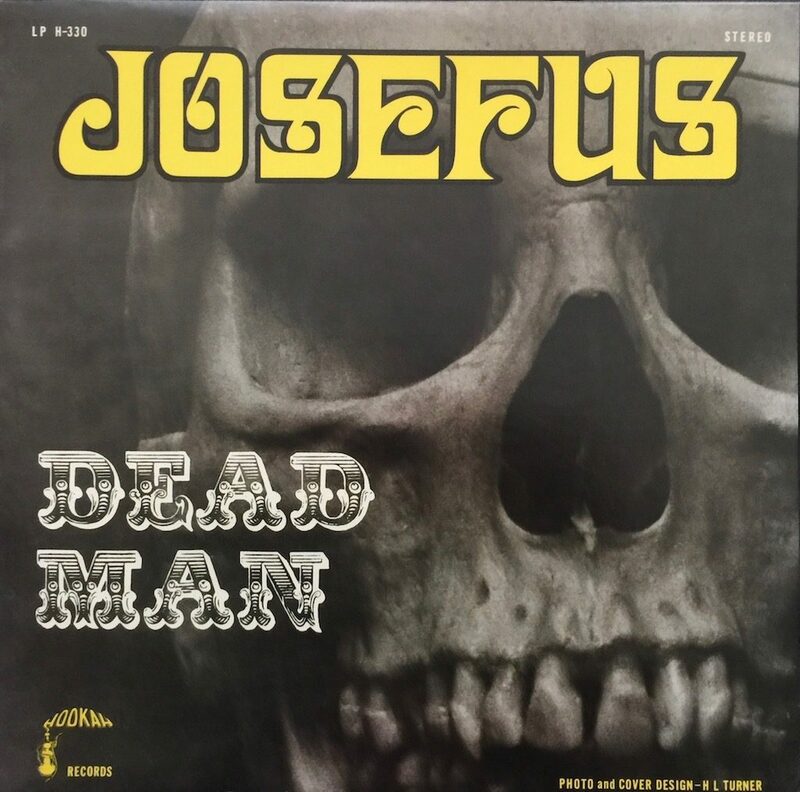 Before we get to Josefus, and their classic, Dead Man, a precursor album of hard rock that was seemingly lost except to an informed group of fans and enthusiasts, I have a story to tell. As full time resident of Austin, I am now entitled to complain about SXSW.The first few years we were living here during the winter-spring season (and returning to New York for the remainder of the year), we’d “do” SX—take in some shows, go to a few panel discussions and just walk the scene. I’m told, like everything else here, that it was “way better” before—I certainly know plenty of entertainment lawyers who used to make the trek back in the days when the major labels were still handing out advances and signing bands and Austin hadn’t yet gained “it” status as a city. Now, I have a more placid approach to the whole thing—occasionally, there will be a “big act” that I want to see, but mostly, we stay on the fringes—there are venues operating everywhere during the festival, including some that aren’t really “official” SXSW sanctioned events, but who cares? We caught an act—Sarah Borges—we’ve heard many times back East (she hails from the Boston area) at a seedy little club in South Austin a few years ago. She’s always terrific and puts on a great show. This past year, a colleague from UT was scheduled to play at an event held at the old Antone’s Record Store.My friend is known for his eclectic taste in obscure ethnic folk music, has a Ph.D. in history and is a published author and radio show host, among other things. It wasn’t much trouble to get to the venue since we didn’t have to drive through the downtown area; once there, we positioned ourselves among the record bins when the band came on. Except it wasn’t my friend’s band. Instead, I was greeted with a blast of heavy, hard rock that brought me back to the early days of post-Cream, early Zep– hard driving rhythms and wailing vocals with just the right amount of psychotic guitar work. 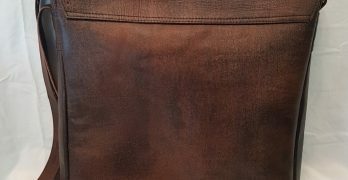 The guitar player, who was excellent, was using a positively ancient Echoplex,which fascinated me, not only for its sound but its relative rarity. The band was so loud (even with my ear protection), I could not hear the record store guy’s answer to my question “Who are these guys?” He typed the name on his phone and showed it to me: Josefus. Turns out, this band has been doing this sound from the early days of hard rock. Their big record—Dead Man—was released in 1970 and original copies fetch big money. It was no coincidence that reissues were available at the record store counter so I bought one. But, yikes! Live, these folks were crushing it! I talked briefly with the guitarist, Dave Mitchell, after the set and we tried to trade emails, but stuff happens (or in this case, didn’t—we failed to connect). 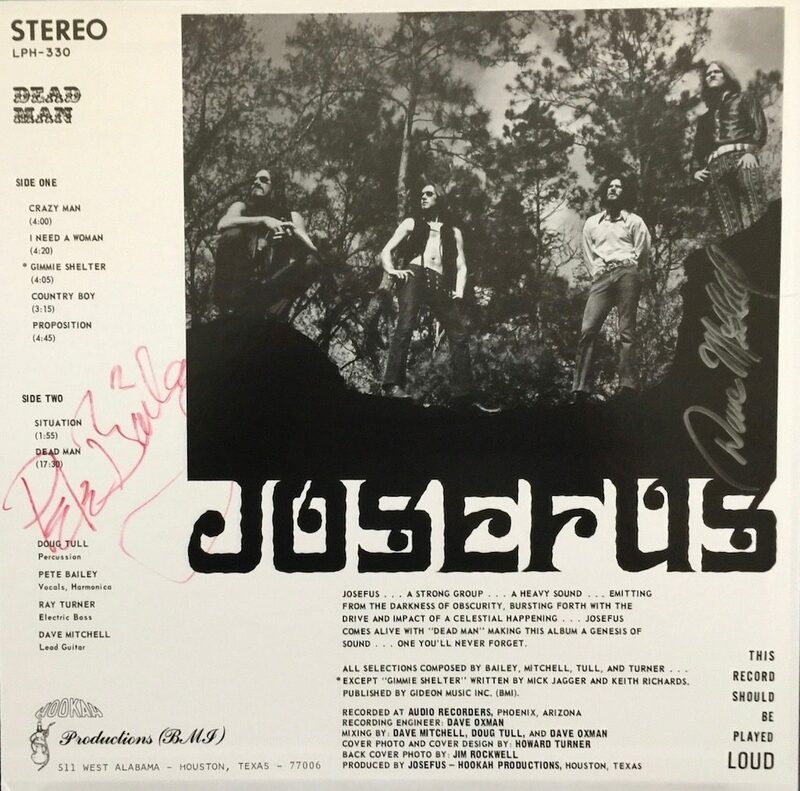 Josefus isn’t a secret among those who treasure heavy rock of the “proto-metal” variety and the band has had a fair amount of coverage over the years as a “lost” treasure. 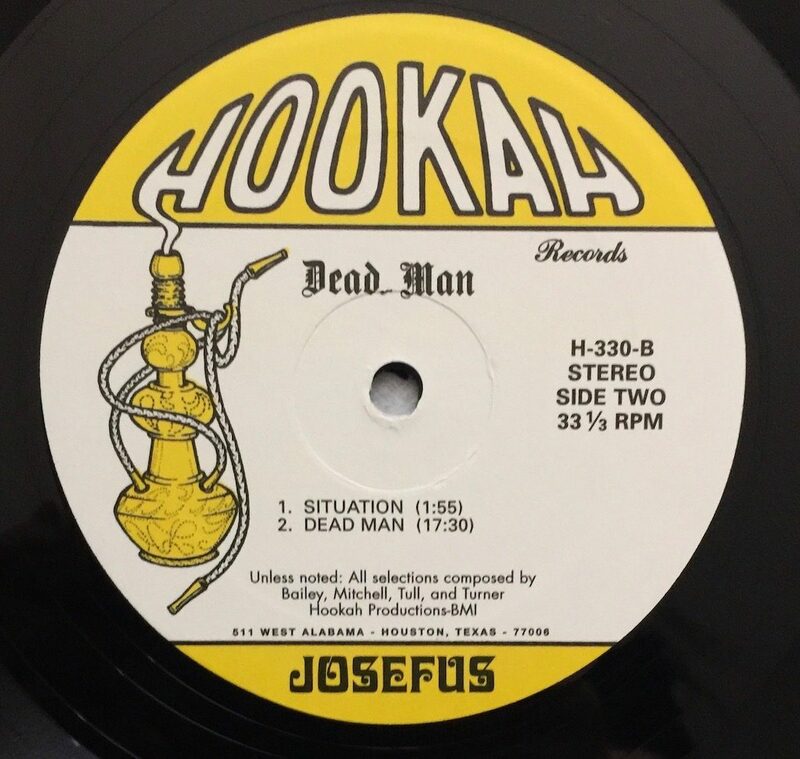 The original album was released on Hookah Records, a small independent label that was apparently formed for the purpose of releasing Josefus’ material, which may explain why original pressings are scarce. The copy I bought after their set was released in 2014 by the Numero Group, has a nice jacket and reproduces the original label. 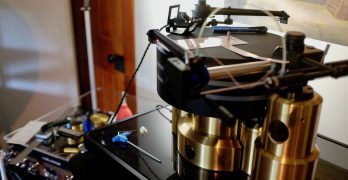 The reissue sounds ok, it is not an audiophile record by any means; I’m led to believe that it is a needle drop, something I am attempting to verify. 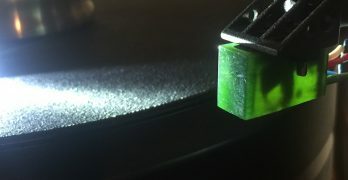 I’ve seen some complaints about pressing quality as well, but I don’t know if an original pressing would make much difference at an exponentially greater price. It’s a bit of a time capsule—and it isn’t about nuances. My copy seems fine, despite the question over source material. Anybody want to spend the money to reissue on vinyl from the tapes, assuming they still exist and are in good condition? Exactly. Sundazed released it as part of a two-fer on CD and Bob Irwin apparently had access to the tapes. I’m going to buy the Sundazed and take a listen. Truth is, the band, with two original members- the guitarist (Mitchell) and lead singer Pete Bailey- sounded great live despite the years and mileage and the weird acoustics of a relatively small space. I gather they perform occasionally, and have worked with Leesa Harrington-Squyres, the drummer from Lez Zeppelinin recent years. As to my friend, I saw him in the parking lot after the show. Turns out, though I was told to go to Antone’s Record Store, my friend’s band was playing at the pizzeria next door. Easy mistake, but one I’m glad was made—I’ve heard my friend a few times, with a couple different bands at other venues, but catching Josefus was a complete and welcome surprise. That record store was at one time owned by Clifford Antone, who also owned the famous venue. Now, it is owned by several long time employees who bought the business after Clifford passed, in 2006. The venue is also back in operation, at a different location downtown, with new owners. It’s a good place to hear music and I’ll cover that in another piece. The Echoplex was a portable tape delay unit that was first marketed in the early ‘60s, though it had precursors. 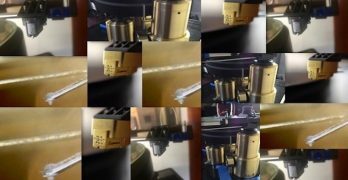 Its value isn’t just in giving the guitarist (or other instrumentalist plugging in) the ability to play over a recorded loop; the tube version had an incredibly juiced up sound that was itself a contributing factor to the sound. There were later solid state units and there are a variety of emulators and pedals that can be used for this high gain “juicy” sound—coupled with a Les Paul and a Marshall stack, this is the lashing, heavy sound that people often associate with the Les Paul in ‘hard rock’ mode. 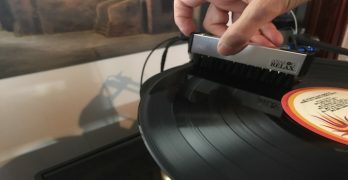 SeeThe Vinyl Press Goes Digital!